John heads to Atlanta for an opportunity to take his music to the next level. The day of the Emerald Ball arrives and it is make or break time for Cristina. On the high seas, the cast of Born This Way surprises everyone by taking risks and overcoming fears, some while dangling from a cable a hundred feet above the deck! In her year of YES! Rachel determines it's not too late to pursue her lifelong dream of being an actress. Not your average reality drama! This reality series features six young adults with Down syndrome and their families. If this series helps show their dreams and realities. They don't let Down syndrome define their lives. 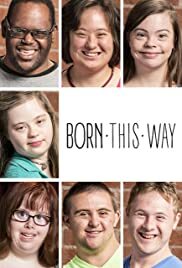 If you know somebody having a Down syndrome child and are considering terminating the pregnancy, please watch this show. This program shows that having a Down syndrome child isn't the end of the world. This series shows they can have normal lives including going to college, having jobs, getting married and more. Congratulations on a well deserved Emmy. The six adults meet at a center in Los Angeles, California. If this series can be educate others about Down syndrome then maybe there wouldn't be a termination rate of about 75%.